Are you a startup founder? Are you a PR pro pitching the media? 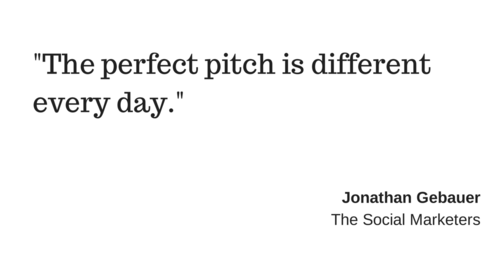 Do you know your perfect pitch? If you do, enjoy the feeling. If you don’t, this article is for you. Susanna and I founded exploreB2B more than four years ago. I still remember the first time I had to pitch in front of investors… well, business angels (not the same thing IMO 🙂 ). I was nervous. A German crowd of angels with no clue what content marketing is, and exploreB2B? Not an easy pitch. None of them invested – and after we had pitched, well, I don’t think they had an idea of what we were planning or doing. Let me fast forward to today. 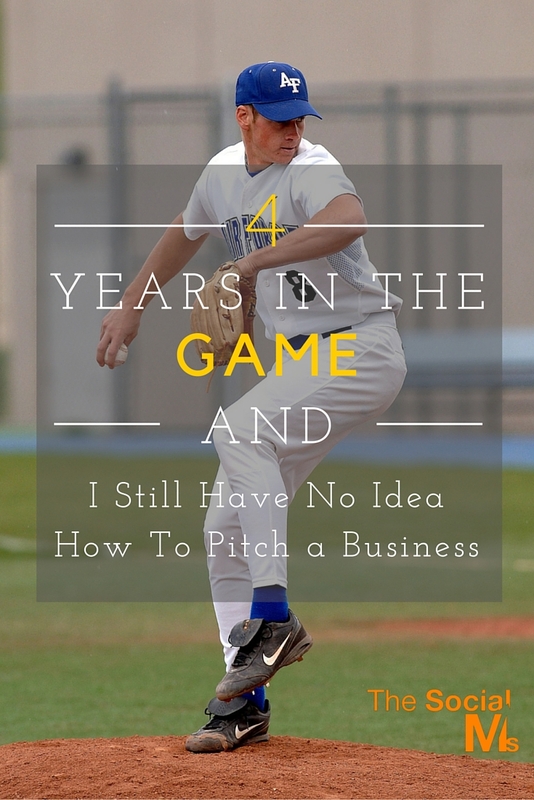 I’m still in the game, not a single day passes when I do not have to pitch (one way or the other). I had to pitch journalists, business people, investors and interested bystanders. Sometimes successfully, sometimes… not so much. Maybe I don’t have a talent for pitching. I’m not the Steve Ballmer type of moderator, who will jump monkey-like in front of a crowd. Nor am I the Steve Jobs type, who will do product presentations that will make people go crazy enough to camp in front of stores instead of waiting a couple of weeks. It’s not envy – but hey, I wouldn’t mind these character traits. A couple of weeks ago, I was pitching again, at an accelerator here in Berlin. An event – about a hundred people. Two judges. I was nervous. Four years in the game, still getting sweaty hands. From my perspective, the pitch went fine. The judges disagreed. Reactions from the crowd were ok, though. Questions after the pitch were clever, they had understood what we were doing, someone called it “amazing”. I asked one of the judges afterwards – and he said something interesting: He said that we are in the business of buzz creation, and for him, buzz is such an emotional topic, that he missed the emotional element. Thinking back, I’ve been in many situations where the emotional element got in the way when pitching. I’ve also been in many situations where I needed it. The lesson to be learned here: There is simply no way for me to know before the event what the perfect pitch will be. It differs from day to day. The perfect pitch for me doesn’t exist. If you are a startup in an early stage, you may find that the same holds true for you. So just roll with it. Failure and success are closer together than you might think. Failure and success are closer together than you might think.